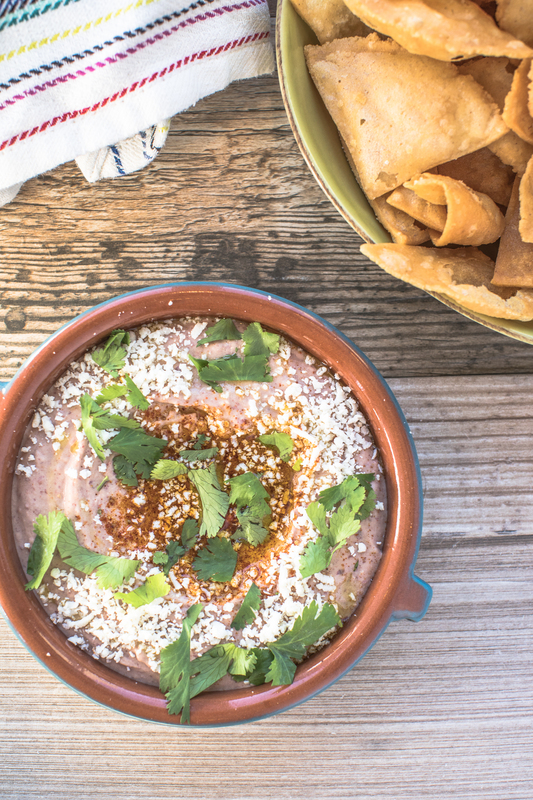 For this dip we took the texture and thought of a nice hummus and gave it the texture of refried beans, with the flavoring a nice bowl of chili1 Perfect for the big day…or any taco Tuesday! Whip tahini in food processor for 5 minutes. Add beans and garlic and buzz to combine. With food processor running, drizzle in water, olive oil and lemon juice. Buzz until just smooth, about 2 more minutes. Season with salt and chili spice. Garnish with cilantro, queso fresco, olive oil and remaining chili spice. Mix ingredients together in a bowl, until a soft ball forms. Let the dough rest 3-5 minutes. Place 2 tablespoons of dough into a ziplock bag and flatten using tortilla press, if you don’t have a press roll out a 1/16 inch thickness or 3 in diameter. Cut into quarters. Fry in 325 degree oil, until golden. While the chip is hot, season with salt.